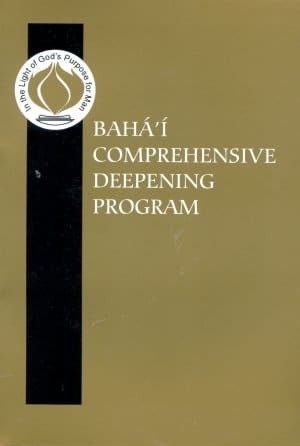 Long-time Bahá’ís will remember the Comprehensive Deepening Program with both fondness and enthusiasm. New Bahá’ís will find in it a truly comprehensive approach to the deepest foundation of the Bahá’í teachings. Rather than focusing on facts, figures, dates and details, this program places these secondary elements “in the light of God’s purpose for man.” Purpose, Meaning, the exercise of Will and the development of Virtues become the foundation for building a successful Bahá’í life. Presented in a format that is suitable for both study groups and individual deepening, the material is interesting, inspiring, and non-formulaic. 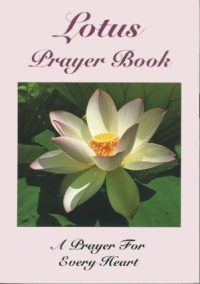 This single volume contains the entire contents of four of the original six workbook-sized volumes that were published in the early 1970’s by the National Spiritual Assembly of the Bahá’ís of the United States. This is the core text that draws the connections between what it means to be a human, the purpose of our existence, and our struggle to develop virtues and live the life. Knowledge, Volition and Action This section strengthens the tie between understanding, free will and action. This is a brief compilation about the nature of the rational soul, God’s greatest gift to humanity. This section comprises the bulk of the book, and while it is useful and inspiring, I hope that it is understood in its historical context and not used as a club to beat ourselves and/or others over the head with. The concept that our example can change the world is an important one, but the specific virtues discussed are a reflection of the needs of the end of the turbulent and rebellious sixties and are not necessarily the pivotal virtues of today. Included are valuable virtues such as reverence, chastity, purity and cleanliness, but missing are some of my favorites like courage, audacity, kindness, generosity and service. Books not included in this volume are Marriage: A Fortress for Well-Being, which is still in print (and available from Special Ideas), and the volume on elections, which has been replaced by later works. Also missing are the huge page margins that added so much to the size and cost. 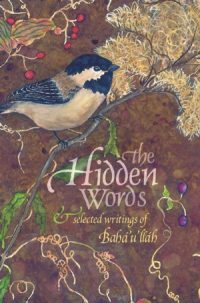 What is left is a handy, affordable and easy-to-read volume that will become essential reading for a whole new generation of Bahá’ís.Reprinted by Special Ideas as a single 6×9 272pg volume in black & gold.